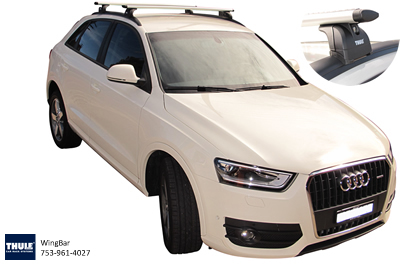 The Thule RT753 Rapid Fit roof rack with WingBar fits to the mounting points and solid roof rails that are pre-installed on some vehicles. It is a 3 part, modular system incorporating a foot pack, cross bars and vehicle specific attachment kit. Because the fitting kit is designed for a particular car it allows for a neat fit that is designed to integrate well with the vehicle roof. For most applications the feet sit on rubber pads to provide cushioning where the load is transferred through to the roof. 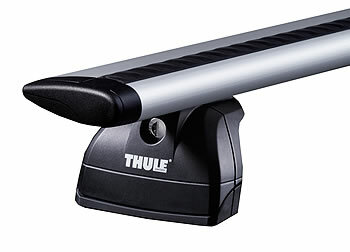 The Thule RT753 bars have a wing cross section to reduce drag and noise. 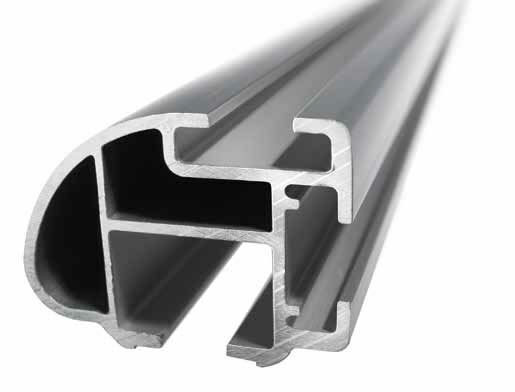 The bar incorporates a T-channel for fitting accessories and a rubber buffer strip to cushion the load being carried. RT753 roof racks are key locking as standard. Allow about 3/4 hour for assembling and fitting a pair of cross bars the first time on most vehicles. Ease of fit/removal Times vary but the racks can typically be removed in less than 10 minutes and refitted in around 15 minutes. Security The racks are secured from theft with key locks supplied. Transferable The rack is a modular system consisting of 3 kits: feet, cross bars and fitting kit. The foot pack and cross bars can be used in various other vehicle applications so offer some degree of transferability to other vehicles that have pre-installed mounting points. Comments This leg can be fitted with the Thule trade cross bar.